Don Grant-Zellmer is helping to find historical records of the theater department. A 60 year-old at IVCC received a facelift this year. 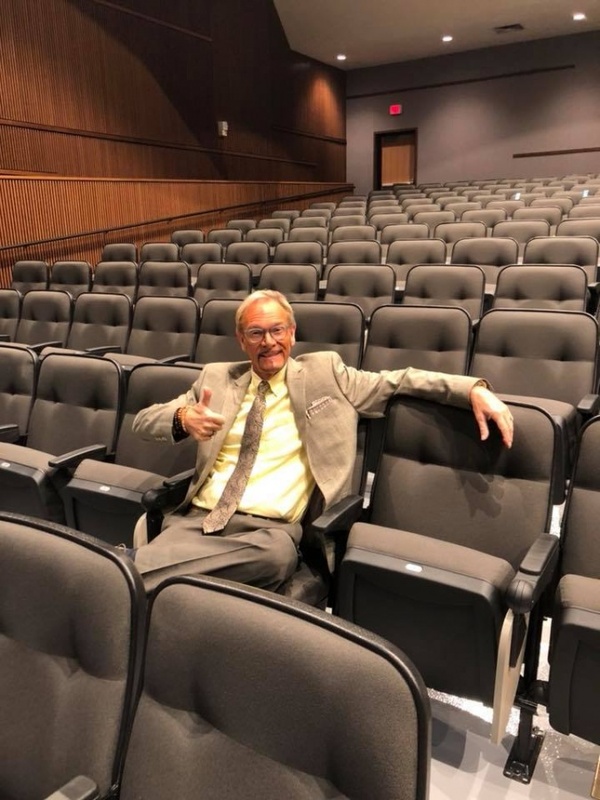 The Mary Margaret Weeg Cultural Center underwent renovations in ramps and seating after a $630,000 donation from Weeg. And in conjunction with this cosmetic surgery, historical galas featuring memorabilia from past shows will be presented during upcoming performances. What started as an Alumni Association effort to retrace the theatre history at IVCC, turned into an area-wide search for programs and posters. In the meantime, the group stumbled upon the knowledge that IVCC’s theatre department has just reached its 60th anniversary. This theatre department has a unique and rich history that its current members don’t want to keep hidden. According to director Don Grant Zellmer, in its earlier years, stages from Lasalle-Peru’s to Valley Theatre’s to the Dome Ballroom’s were used. There was even a show performed in a tent on the IVCC property. But a lot of paper evidence of these shows is missing. And along with revisiting its past performances and performers, the theatre department will also be returning to a type of show it hasn’t explored in several years: a straight play. Oct. 26, 27 and 28 will be the run for “Something Wicked This Way Comes” by Ray Bradbury—a play about two 13-year-old Midwestern children, combatting the fear and decrepit characters that come with a carnival to their hometown. But musical-fans need not fret as the annual holiday show “Jingle All the Way,” the audition dates for which thespians and singers should keep an eye out in the near future, is still taking place. And one of the biggest titles to hit Broadway, “Mamma Mia,” is also coming to IVCC this spring with auditions in December. Zellmer is especially excited to be choreographing this musical with his daughter Lexi. And at the shows will be the galas of stage memorabilia from across the years, but unless alumni of the theatre department get their posters and playbills and clippings to the Stage Alumni to be copied and saved, many of the memories will be lost to the ages.